As the sun sets and the summer begins to wind down here in the foothills, we wait in anticipation for what the fall may bring. The summer has been hot, and with little moisture the agriculture industry is struggling to provide water for all its needs. In a Mediterranean environment there is wide variety of produce that can be grown but there is limited amount that will do well without supplemental water. One of the classical symbols of a Mediterranean climate is the Olive tree and it thrives here in the foothills of the Sierra Nevada. Once established, the olive tree can withstand our harsh summers and this is apparent in the olive trees still standing all over the Sacramento valley and foothills area. Auburn was once a thriving olive producer in the 1940’s and 1950’s producing over a million pounds of olives for oil. Not so much now, but there are still a few trees that you can glean from. Planting one is as simple as taking a cutting from an existing tree, or going to the nursery. Not familiar with grafting or propagating? Well then here are a few recommendations on where to get some local olives. First we have Chaffin Family Farms located in Oroville. This is the place to get your raw olives and olive oil. With a rich history and great stewardship of the land the Chaffin’s deserve your business. 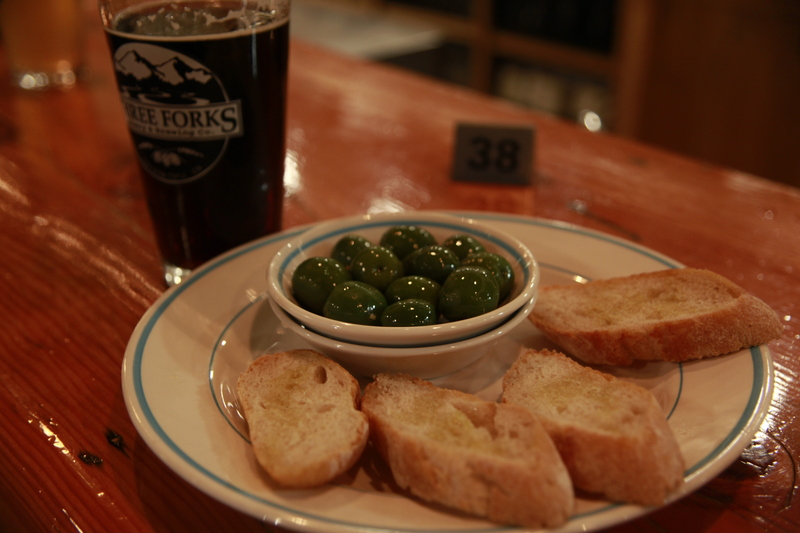 If processing your own olives isn’t to your liking, try Three Forks Bakery and Brewery in Downtown Nevada city. Menu items sourced when possible from local organic producers, this is a great place to eat some olives and enjoy a beer in a wonderful historic downtown atmosphere. For those that would prefer to plant an olive tree and want to produce their very own olives visit Peaceful Valley Farm and Garden Supply for olive trees as well as a great video on how to cure olives at home.